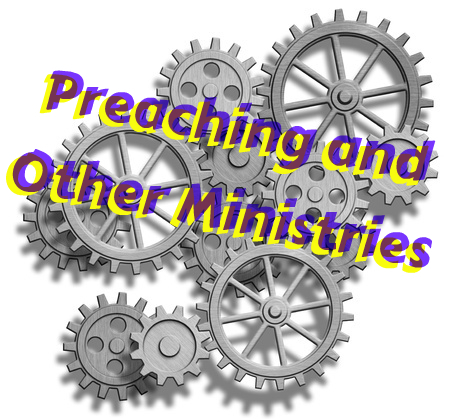 Preaching is a pastoral role. We are not being called to perform, but to shepherd. We can, and must, do the role of a shepherd as we preach. A shepherd feeds, leads, cares and protects his sheep. In order to pastor through preaching, we need to know and love the people we are preaching to each Sunday. Obviously if you are visiting a church, or speaking at a special event, then you may only have half an hour to get to know the specific group of people present. Do what you can. It is also important to know people in general, so that you can preach to people in particular, but always seek to preach to those who are present. Here are some alternative listener profiles to root out of our preaching. Don’t preach to people who are missing. Some preachers seem to have allowed the richness of the gospel to evaporate into a duty of church attendance. These preachers are then liable to preach frustration toward those who “should” be present, but aren’t. Don’t preach to an audience your favourite preacher attracts. You might have a favourite preacher who preaches to a cool crowd in some other city in America or somewhere, but if your listeners are from rural Somerset, they aren’t a “Seattle” crowd. Don’t preach to a culture that isn’t in your church. The culture may be increasingly postmodern, but lots of church congregations aren’t. Don’t seek to overcome issues that your listeners aren’t facing in any meaningful way. Don’t preach to land another job. I hate to say it, but there are some preachers who are preaching so that their sermon is attractive to a “better” church they’d like to get a call from. Be faithful to your congregation and God will help you adapt if you need to move church for some reason. Don’t preach to spar with foes. It is very possible to preach targeted comments toward people acting likes foes in your congregation, so technically they are present, but still this isn’t wise. But don’t waste energy preaching to foes not present. Having a go at a high profile atheist doesn’t achieve much. By all means equip your listeners to handle what they are hearing in the media, but that would mean preaching to them. Taking pot shots at people not present isn’t impressive. Get to know and pray for the people you are preaching to each Sunday. Then your preaching can pastor their souls. If you don’t care about them, don’t preach to them. It seems inevitable that a biblical ministry that brings the message of the Bible to people in this world will frequently have to engage with sin. If you have figured out how to preach only positive messages, then you probably should preach from more than the first couple and last couple of chapters! So as we preach we address sin. Here’s my one point for this post, although much more could be said on numerous levels, of course: sometimes we can make reference to certain sins in the abstract, but f0r some listeners these things are not abstract. We may speak about the sin, but they know actual people who engage in that sin. For example, it is easy to zoom in on the sin of a certain addiction or behaviour. From your perspective what you say is fine. You are looking out at a broken world and speaking about it, hopefully using biblical support for what you say. But some of the people listening aren’t working in the abstract. They are wrestling with the issue themselves. Or they have a friend or relative who is caught up in it. They know the back story. They don’t want to excuse the sin, but they feel for the person entangled in it. Then you continue with your point. If the transition to this content and from this content is smooth, it won’t jar, but it will keep listeners with you as you touch on a subject that hits a nerve. Sin is always viewed differently when it touches close to home. When you preach to a decent sized and diverse congregation, sin issues are always touching close to home for someone. Be sensitive to them. Win an audience for the Word. In calling for pastors and preachers to take up their apologetic mantle as theologians for the church, Loscalzo makes a passing comment that I agree with wholeheartedly. Let me quote first, comment second. Whether by intentional design or by default we pastors have relegated our task of being a theologian to some unknown entity while we spend our energy on matters that someone else in the church could better handle. In other words, too many pastors spend their time organizing vacation Bible school while neglecting Karl Barth [ed. insert your theologians of choice here]. Too many ministers aspire to be better managers of church programs. Many pastors have their hands in every administrative pot in the church. Every committee action must have their stamp of approval. These pastors micromanage everything from the church’s budget to Wednesday night suppers to the selection of wallpaper for the nursery. No wonder churches languish from theological malnutrition. The one charged with feeding them persists in obsessing over matters that they could delegate to abler hands. What is true in terms of theological reading, reflection and output is equally and overlappingly true of Bible study, reflection and output. I remember one pastor I was influenced by encouraging me to always break what I do into four categories, and then delegate one of them. Probably sound advice. What do you do? Whether or not you’re a pastor, or in full-time ministry, or in secular employment . . . considering the work you do in the church, what do you do? Four categories? Which one can go? What can and should you delegate? Squeezing bible, theology, apologetics, etc., is too great a price to pay to keep your finger in all those pies.